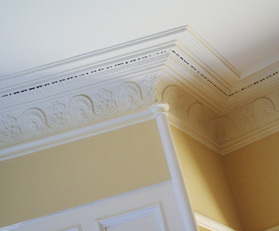 Do you require a plasterer or decorator? From renovating your homes exterior to creating new internal walls for your restaurant or bar, we can provide all the plastering and decorating services you require. Working on your property's interior and exterior, we can produce a wide range of effects, carry our floor screening work, reeks your walls and remove Artex for you. After giving you smooth, plastered walls, our bespoke painting services provided by our highly skilled decorators, ensure the job is finished to the highest standard. We also carry out roughcasting, to increase the durability of your property. As well as providing an extra layer against the elements, roughcasting gives your home or business exterior a distinct style.